Flash fiction was a new term to me when I first heard it in my writing group. Now, I love to read it although it is deceptively difficult to write. You know how difficult it is for students to summarize, so imagine being very concise and to the point with all the required elements of flash fiction. They are fun to read and leave you thinking if the author writes correctly, as does Theodore Jerome Cohen. 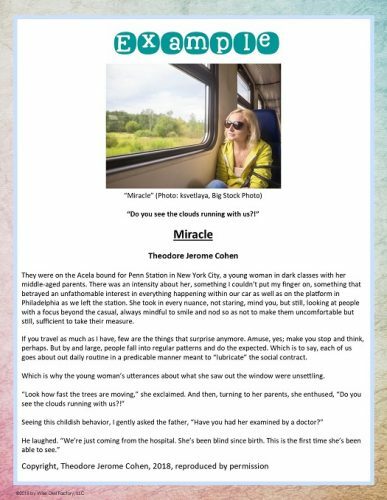 Dr. Cohen gave me permission to share one of his stories in the free printable I made for this post. You may read it in the PDF. If you like your fiction entwined with fact (faction), “flash fiction” is for you! 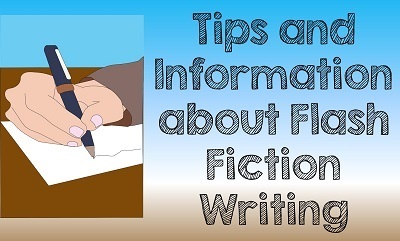 Some classrooms use a quick write warm up, and flash fiction would fit right in for those times. I have recently read 5 of the books by Theodore Jerome Cohen, in the Creative Ink. Flashy Fiction series. I have two more on preorder. Book 3 of the series Flash Fiction Anthologies, were award-winning entries in the weekly Flash Fiction Challenges sponsored by the Website Indies Unlimited. Others are based on or inspired by Cohen’s fictionalized autobiography, Full Circle and his Det. Louis Martelli, NYPD, series of mystery/thrillers. Most of the flash fiction stories, however, are the product of his creative mind, prompted by an endless stream of provocative photographs of people, animals, buildings, and landscapes found on a variety of Internet sites. Specifically, in this volume, you’ll find a tale about an injured bomb-tracking dog named Drak in Afghanistan, a gritty story about a standoff between a detective and a female serial killer, the humorous tale about the theft of one of the Queen of England’s swans, and a story about a suspenseful conflict between the chief of a Native American tribe and a cowboy. In short (pun intended), there is something in this book for almost every genre and taste. 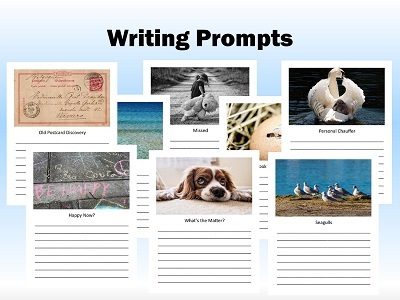 Students are more inspired by photo writing prompts than sentence prompts. They can “see” a story in a photo, and thereby can rely less on their own life experiences or imagination which can cause pressure. It removes the self from the prompt enough to allow inspiration. Therefore, picture prompts are one part of the printable download. 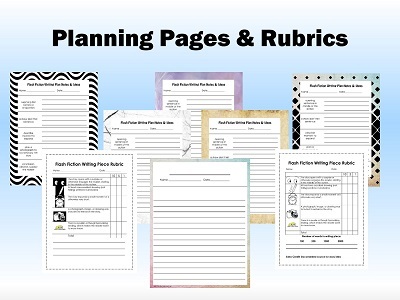 Some teachers and students like to use writing planning pages, or notes from which to write. Dr. Cohen gets inspiration from historical events, newspapers, and other nonfiction sources that he changes to fictionalized stories. Some classes may use other graphic organizers, so it is whatever works for your teaching situation. Planning pages are included in the PDF as an option. If wanted, two different rubrics are offered and one refers to a documented source, one does not. I always liked rubrics for official observations to help answer the question, “How will you evaluate this lesson?” That way there was a way both the student and I could assess writing pieces. 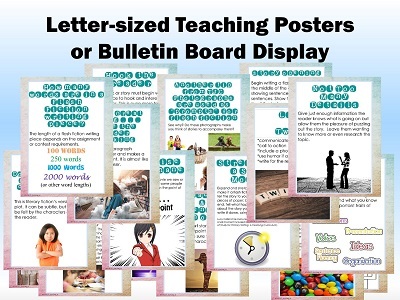 The flash fiction letter-sized teaching posters could be used under a document camera for a whole class or writing group discussion. 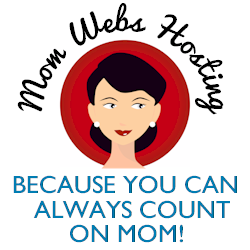 They alternately could be used on a bulletin board display for the classroom. 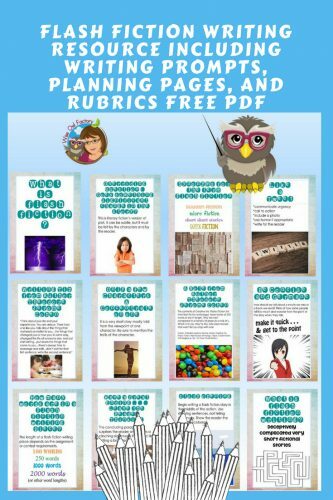 The printable PDF includes what was described above: teaching posters or bulletin-board display, picture writing prompts, and rubrics. Teachers might like all or just some of the pages, so just print what applies to meet the teaching situation. You may like the books by Theodore Jerome Cohen, available on Amazon. I am not an affiliate. They are rated PG 13, I think, and would be appropriate for high school classes. Reading them caused me to write this post, so I want to mention them. 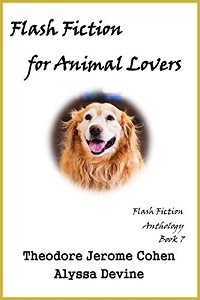 The seventh flash fiction has an animal theme and will be an eBook only. 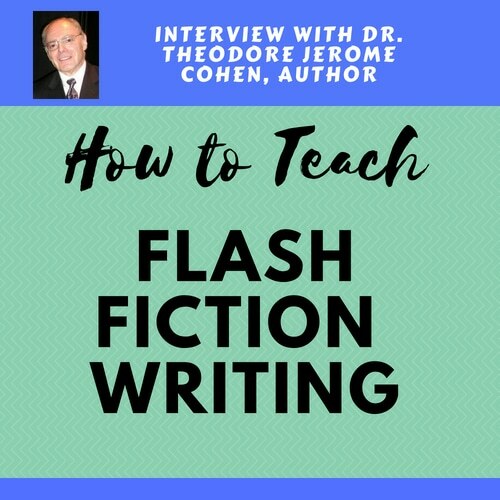 You might also like the post with the interview with Dr. Theodore Jerome Cohen where he explains how to teach flash fiction writing.